Brighten up your home with this magnificent lion king throne chair. 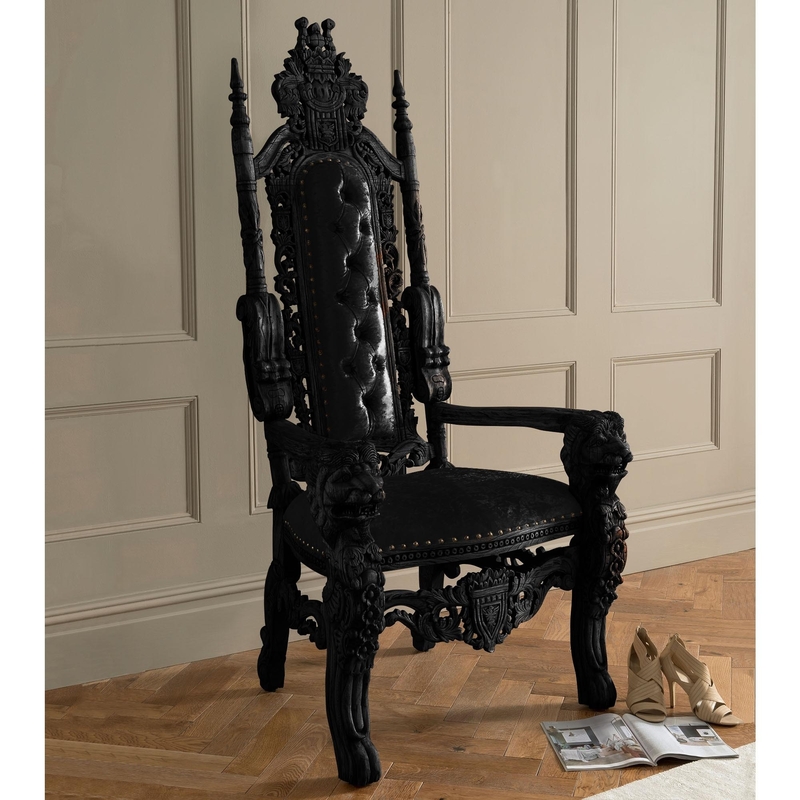 Finished in a luxurious black with black comfortable fabric and featuring carved detailing throughout, this black throne chair will impress and look amazing especially when a couple of them are used as wedding throne chairs. Handcrafted and carefully built by experts, you are sure to be impressed by this exceptional antique French throne chair.